Memphis is a city located along the Mississippi River in southwestern Shelby County, Tennessee, United States. The 2017 city population was 652,236, making Memphis the largest city on the Mississippi River, second-largest city in Tennessee, as well as the 25th largest city in the United States. Greater Memphis is the 42nd largest metropolitan area in the United States, with a population of 1,348,260 in 2017. 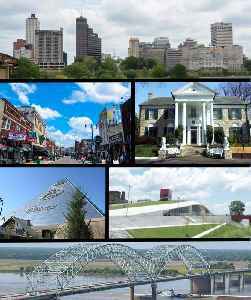 The city is the anchor of West Tennessee and the greater Mid-South region, which includes portions of neighboring Arkansas and Mississippi. Memphis is the seat of Shelby County, the most populous county in Tennessee. As one of the most historic and cultural cities of the southern United States, the city features a wide variety of landscapes and distinct neighborhoods.